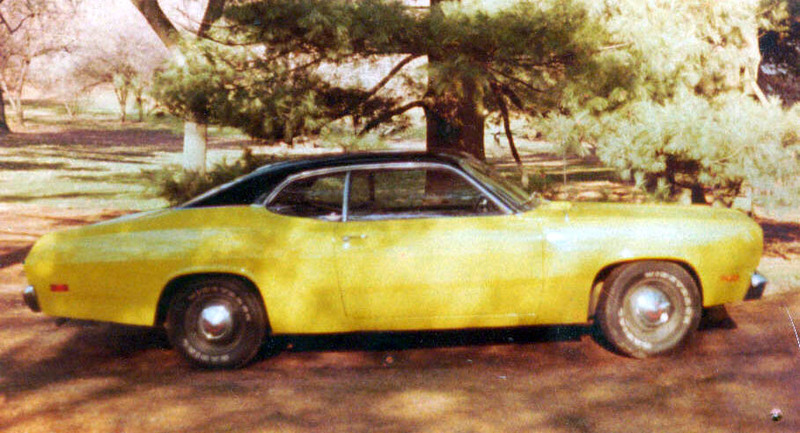 A photo collection of cars restored by Jim. These autos are documented in photos with captions on this page. Click on the photos for an expanded view of each. 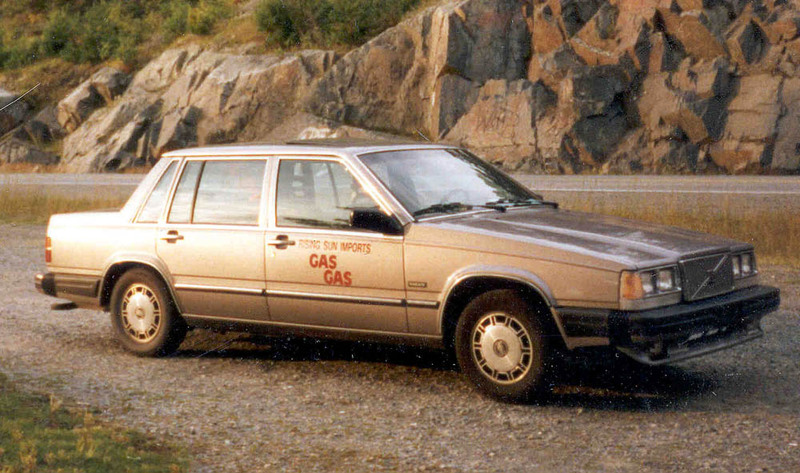 This car was so powerful, some might say it was actually dangerous! Completely Stock, 300 horsepower, UNREAL FAST! 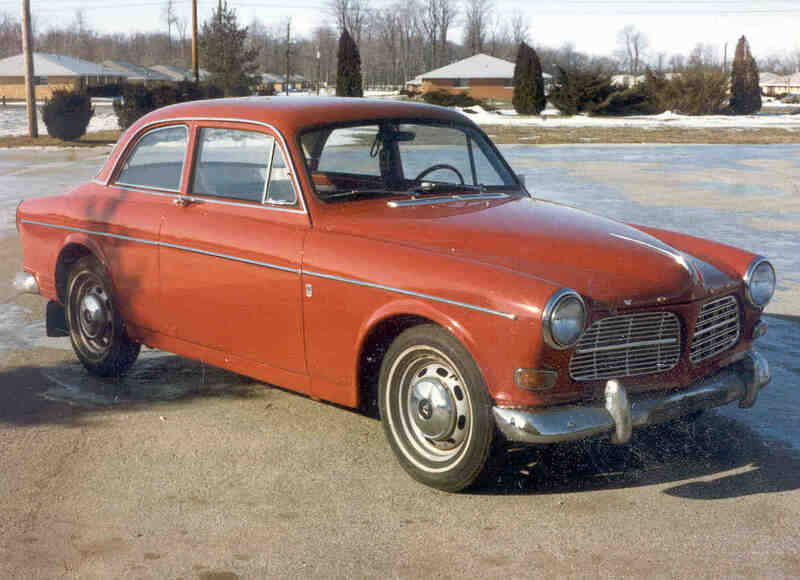 Jim's 1966 Volvo 122. Photo from 1982. Cute little car, had a "barber pole" type speedometer. Powered by a 4 cylinder engine with dual carbs, and 4 speed manual transmission. 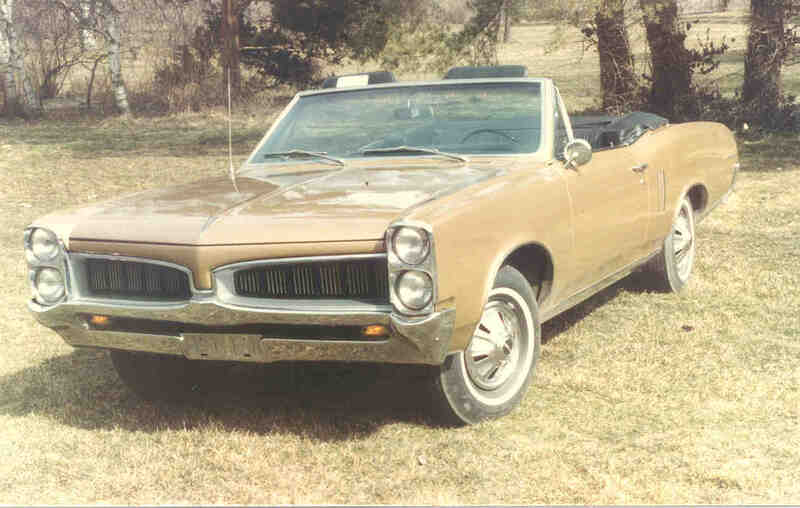 Jim's 1967 Lemans convertible. 326 V8, automatic on console with. bucket seats. 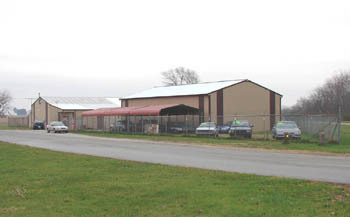 Photo from 1983. Jim's 1959 ElCamino, Jeff's 1971 El Dorado convertible, and Ed's 1966 Mustang coupe. 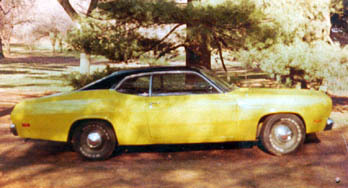 Photo from 1977. Tom's 1969 Mustang 428 Super Cobra Jet. 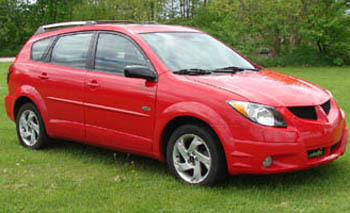 4 speed car.. 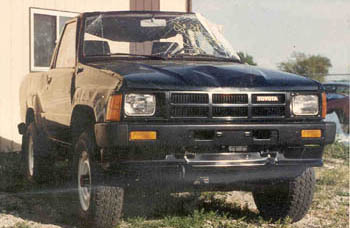 Factory "Shaker" hood. 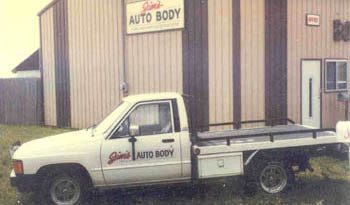 Body restoration by Jim in 1979, or 1980. This was Jim's first base coat clear coat paint job. Color sanded and buffed to a mirror finish. 428 Mustangs have awesome low RPM torque. 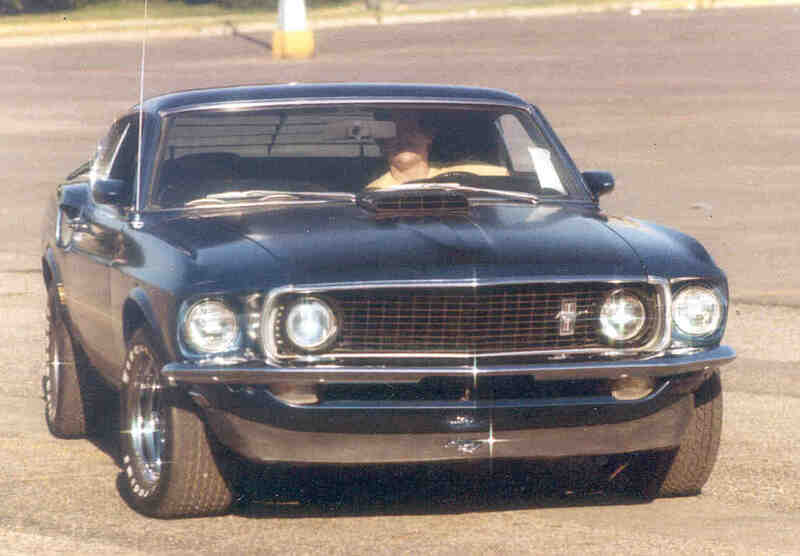 This car was an incredible "torque monster"... It wasn't necessary to rev the engine. Just shift the gears as fast as you can, and the car would accelerate. An incredible feeling of G forces pushed you into the seat as the car accelerated! HOLD ON!!!! Jeff's 1968 Chevelle. 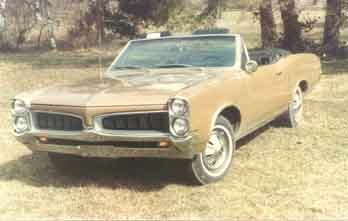 Jeff's parents purchased the car new. 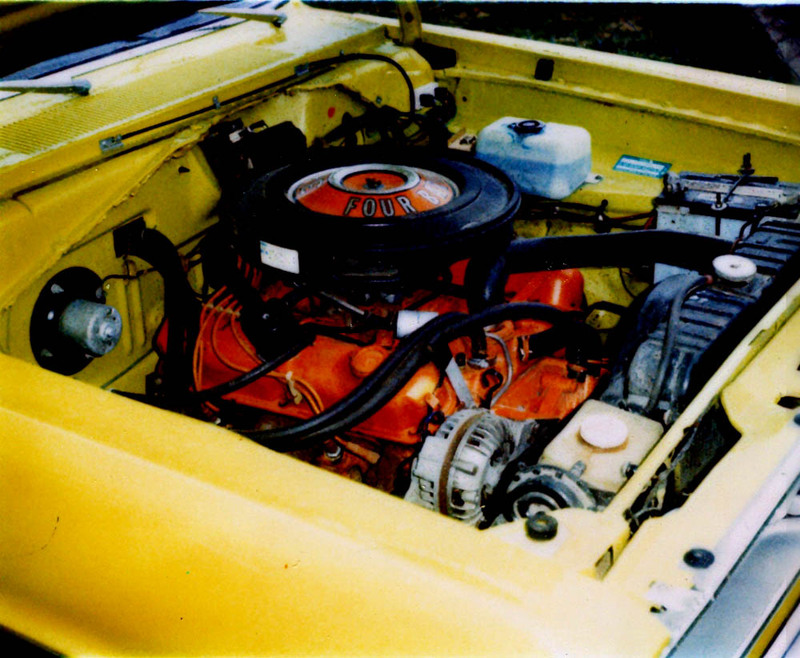 Classic 1970s dual Holley carburetor "tunnel ram" setup. Painted by Jim in 1981. Jim is a master autobody craftsman. 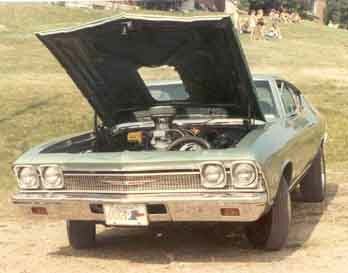 In the 1970s he was the heavy collision specialist at one of Lafayette Indiana's premier auto repair facilities. In 1978 he opened his own business in Lafayette Indiana. 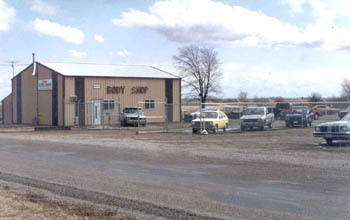 In 1987 he relocated his business to Earl Park Indiana. 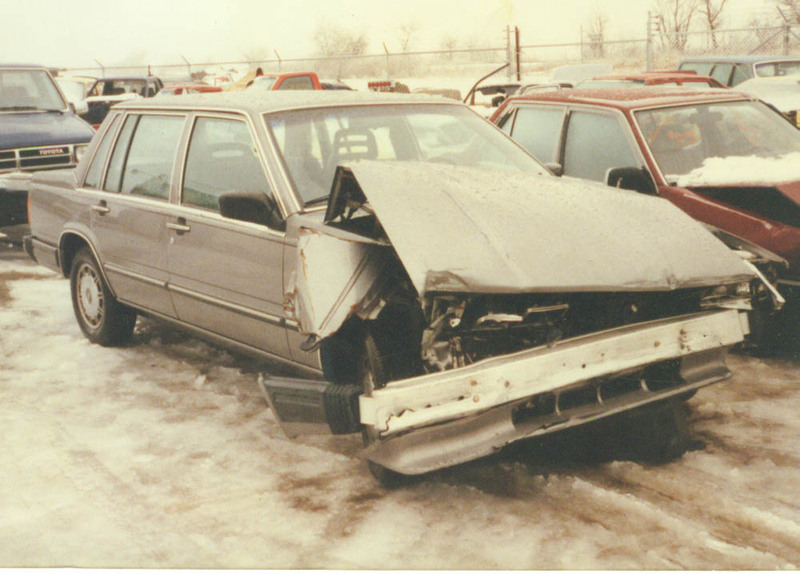 For many years Jim was involved in the repair of insurance total loss vehicles. In those days it was called "salvage rebuilding". As a hobby, Jim still repairs "salvage" autos. 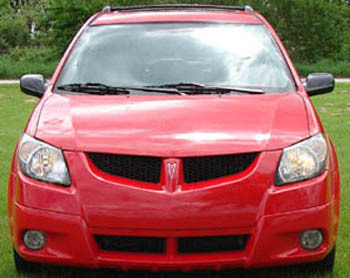 In 2009 Jim purchased and repaired this fully optioned 2004 Pontiac vibe. 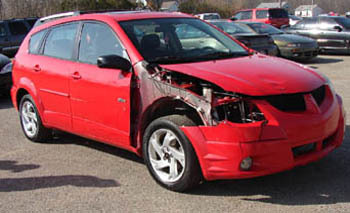 (USA built Toyota Matrix derivative) Suffering from a typical and minor "deer collision" this auto was written-off as a total loss. 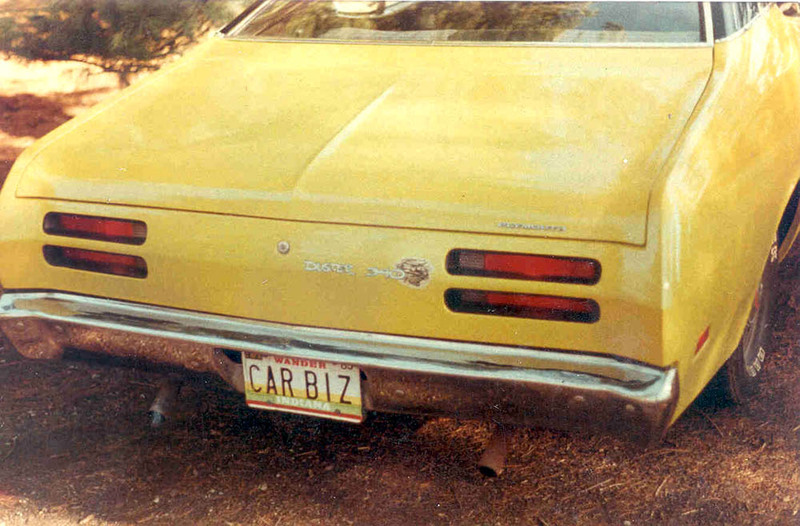 Who knows why the insurance companies write-off some of these cars? 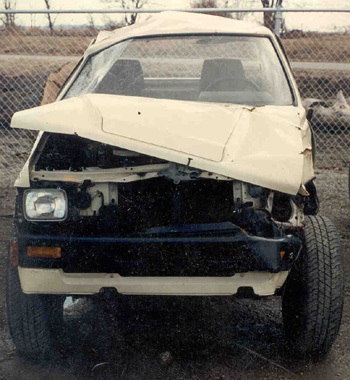 Jim does not buy autos that have chassis and suspension damage nor those in which the "air-bags" have been deployed. When Jim purchased this Vibe it drove perfectly. It had no mechanical damage of any kind. 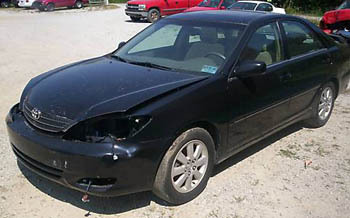 In 2008 Jim purchased and repaired this damaged low mile fully optioned USA built 2003 Toyota Camry XLE. 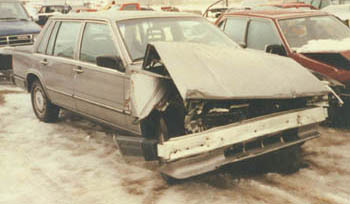 Having minor front fascia trauma resulting from a typical "low speed intersection collision." Jim does not buy autos that have chassis and suspension damage nor those in which the "air-bags" have been deployed. 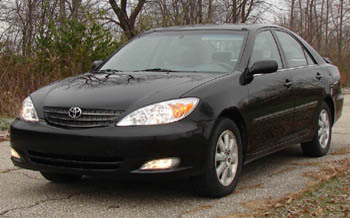 When Jim purchased this Camry it drove perfectly. It had no mechanical damage of any kind. 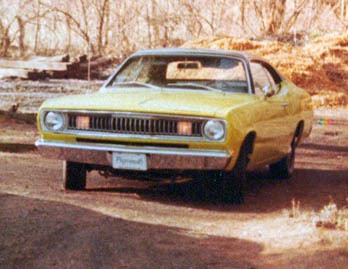 This was Jim's personal driver for about six months. A friend talked him into selling it and reluctantly Jim agreed to part with this one. 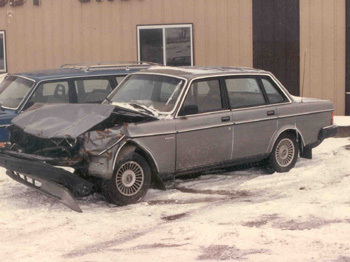 Jim purchased this "total loss" 1988 Volvo 740 GLE sedan from Farm Bureau Insurance in the winter of 1991. It had 55,000 actual miles. Jim drove this car with zero problems until 1996. When Jim sold the car to a high school classmate it had 108,000 miles and was still looking great and running perfect. Jim occasionally sees it still cruising the streets of Lafayette Indiana. 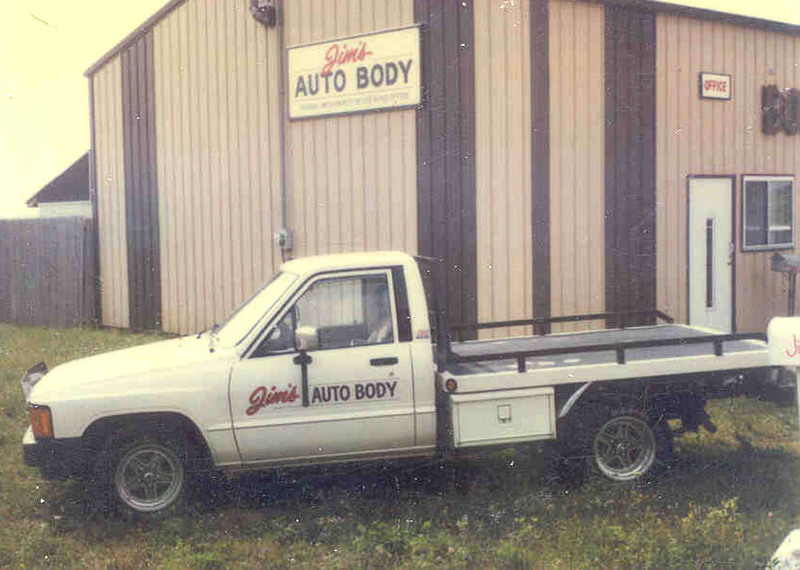 Jim repaired this auto for a customer in 1990. 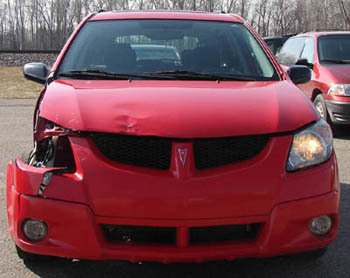 It was damaged when another driver ran a red light and hit Jim's customer. The auto was declared a total loss by the insurance company of the driver at fault. This insurance company was not willing to settle for what the owner deemed a fair price. 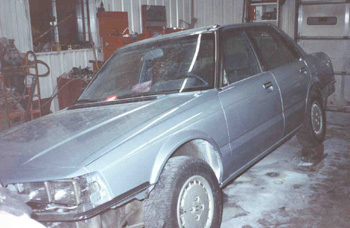 The owner of this two-year-old Honda took his settlement and Jim repaired the car with late model used parts. 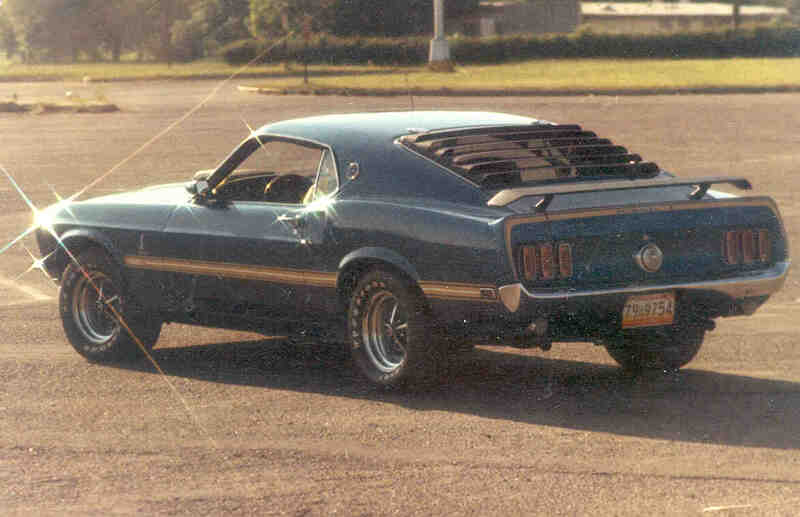 Jim purchased a rocker panel-center pillar post "cut", and the two doors from a salvage yard. This repair saved a tremendous amount of money compared to the cost of using new parts. This is an example of a repair using used parts that was safe and correct. 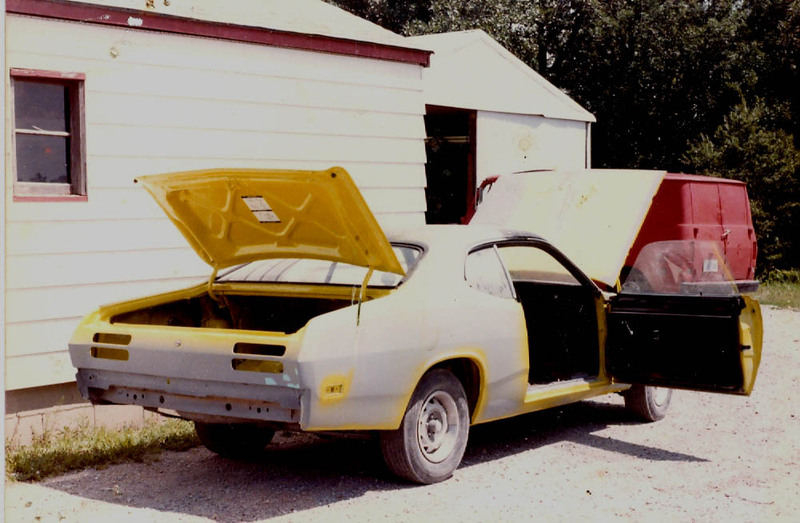 When Jim blended the base-coat clear-coat finish, it was impossible to tell the car had been in an accident... Jim's customer was ecstatic to have his car back in it's former condition. 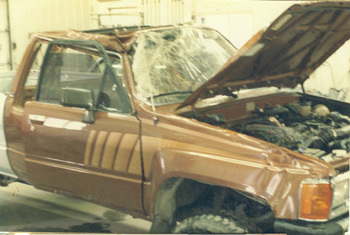 Jim repaired this almost new Toyota 4X4 from a roll-over. 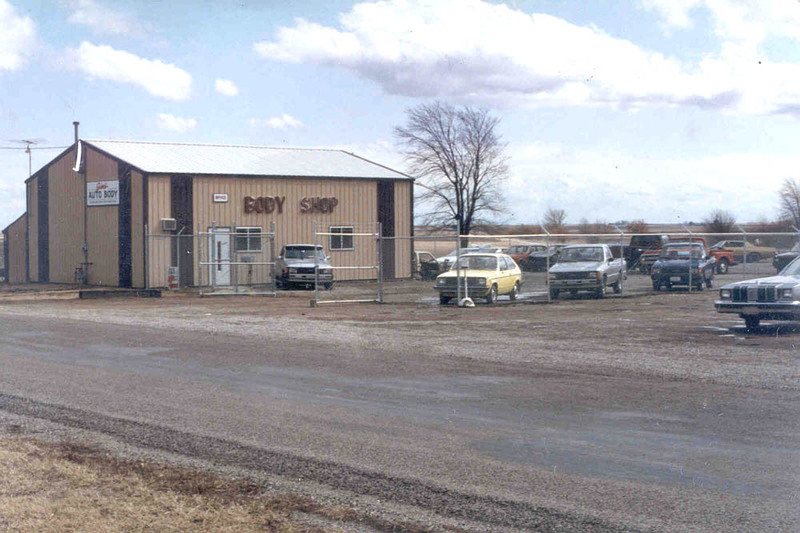 In addition to his auto body repair facility, in the 1980s and early 1990s, Jim owned and operated the largest Toyota salvage yard in the midwest. 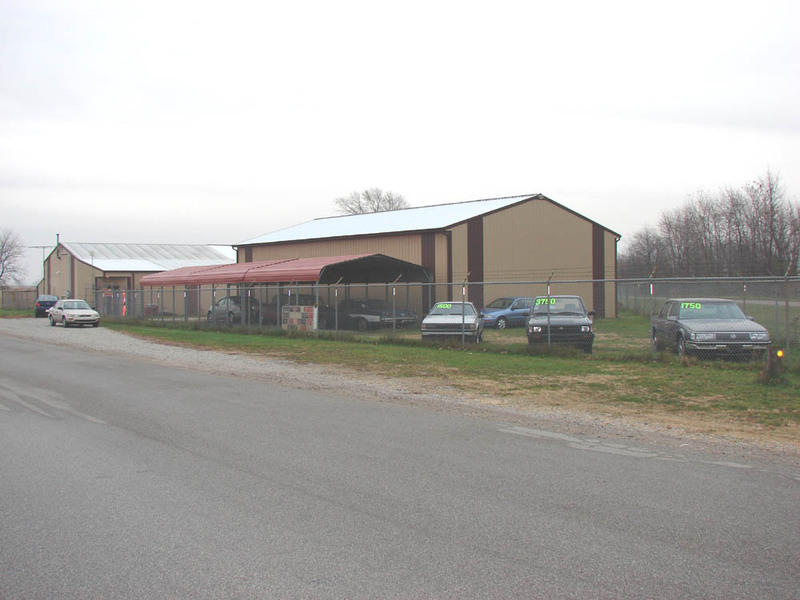 Jim's company name "Rising Sun Imports" is all that remains of his salvage yard and auto body business. In this photo comparison, you will notice that even the tires have been changed. 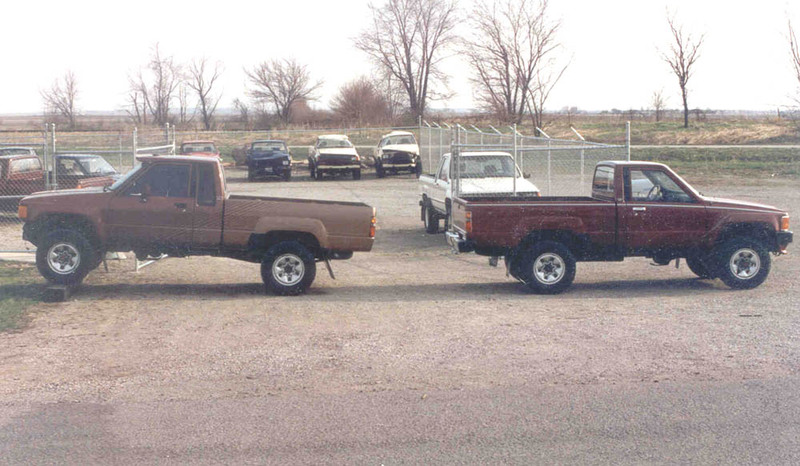 This is the very same truck. Jim had a parts truck in the same color. He replaced the entire cab assembly and pieced the truck together from used parts from his salvage yard. Jim sold this one to a local farmer and he drove it more than 100,000 trouble free miles. Photos below circa 1989. 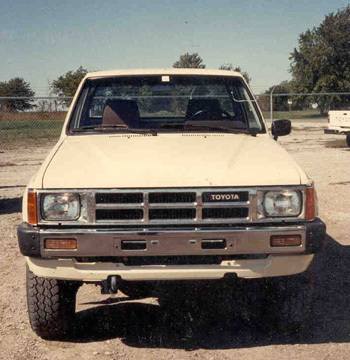 Jim repaired this almost new black 1988 Toyota 4X4 from a roll-over. 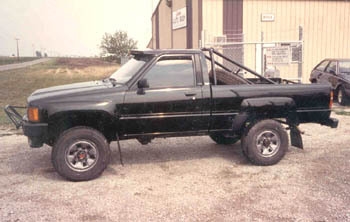 Jim customized this one with off-road accessories and it was already sold before it was finished. It is still on the road today in the Fowler Indiana area. 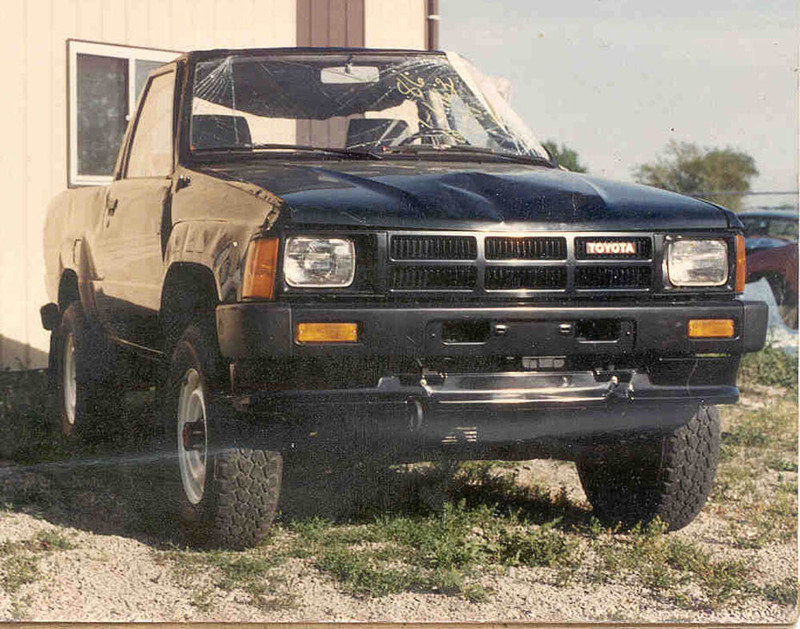 Jim replaced the roof and back of the cab assembly with used parts, and replaced the right rear bedside, right fender and hood with OEM Toyota parts. The paint is Glasurit brand acrylic urethane. 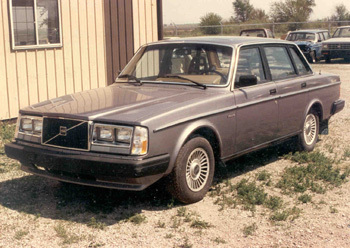 Jim repaired this 1987 Volvo 240 GL sedan for a friend in town. They drove the car for several years with no problems. 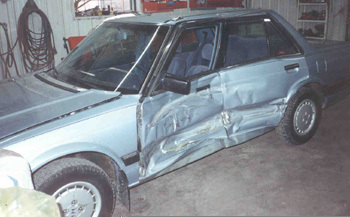 Jim purchased this total loss from Farm Bureau insurance in 1988. Jim repaired this 1987 TOYOTA SR5 4X4 and customized it for a high school classmate. It was full boat loaded with options. 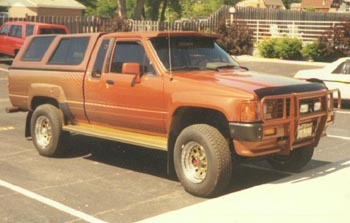 Jim's friend drove the truck for several years and it is still in use today in Northern Minnesota.